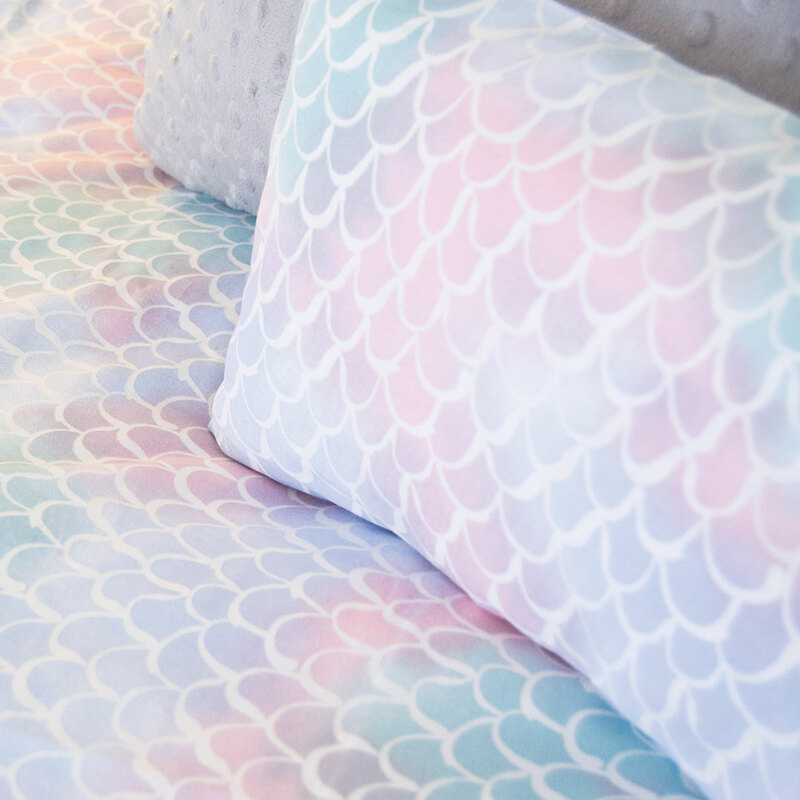 The oceans are calling and the waves are the path, we think you might have a little mermaid at heart! 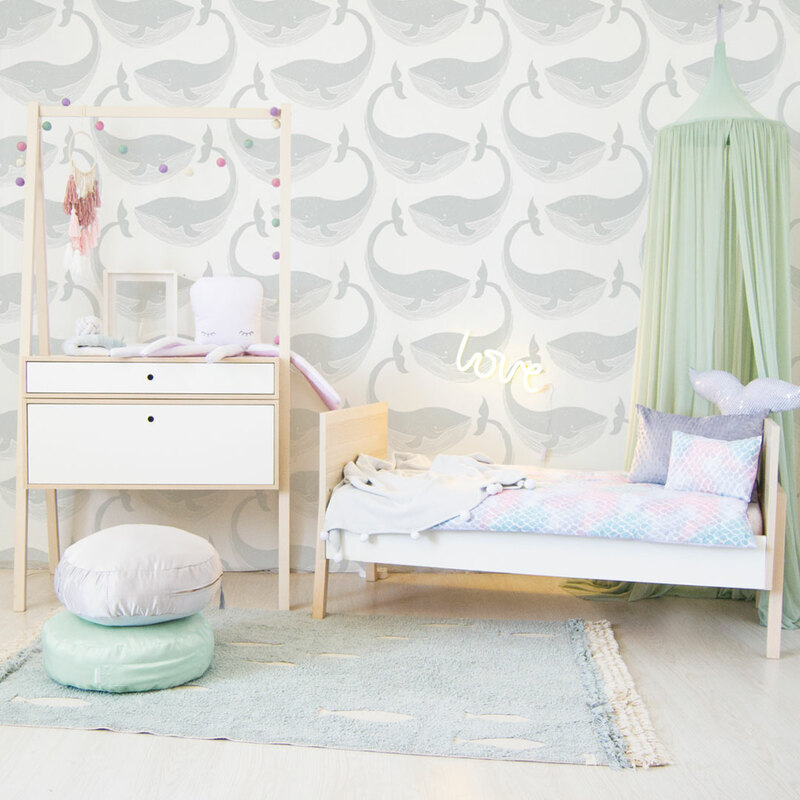 Make a splash with our Mermaid Cot Set. 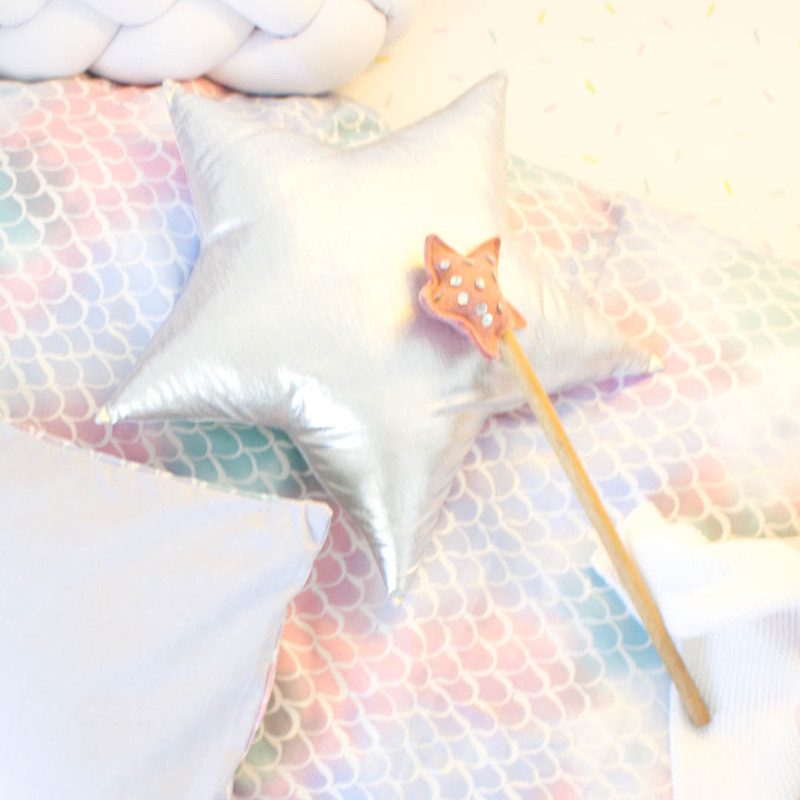 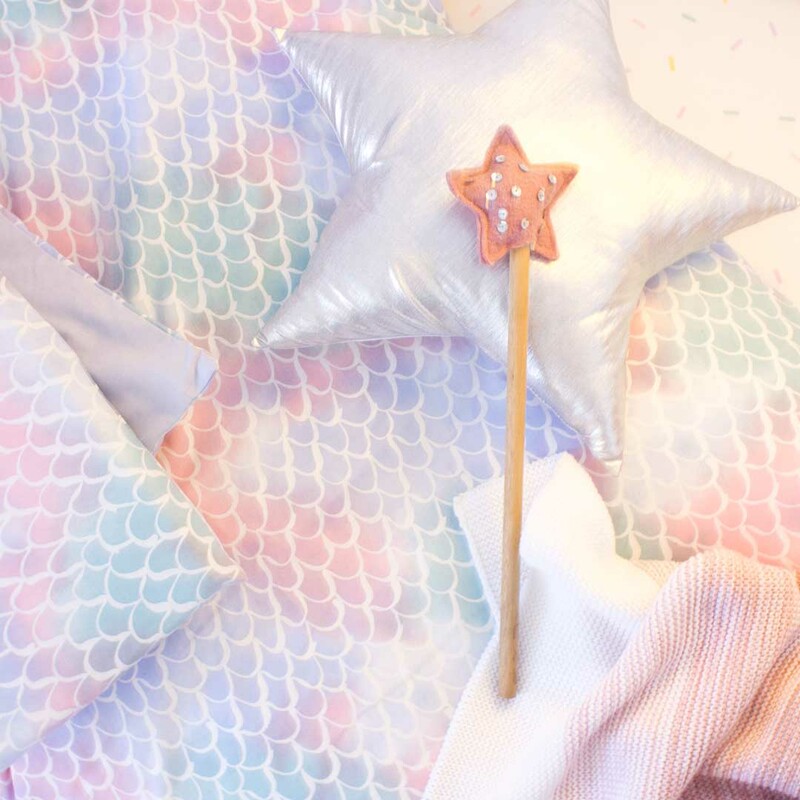 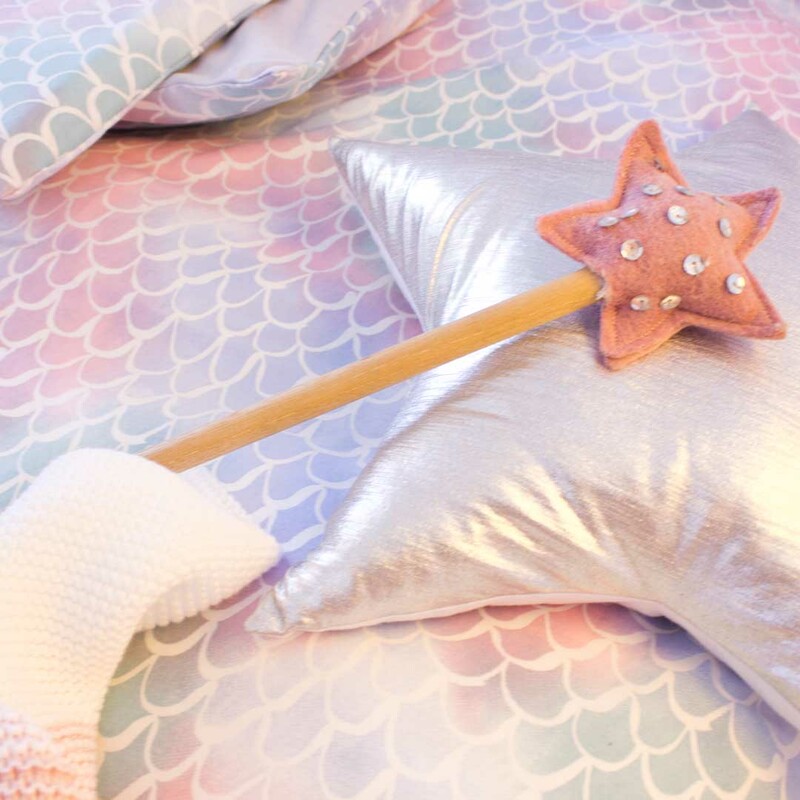 The Mermaid Cot Set by Bunni features a scallop mermaid scale design in pastel multicolour with silver shimmer detail. 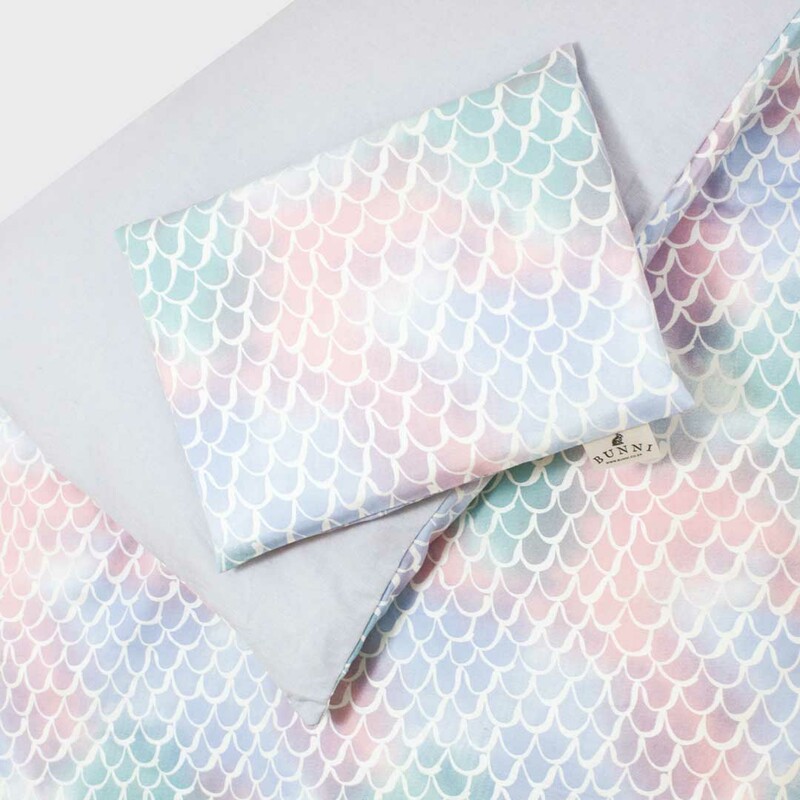 Printed onto 100% cotton this set features a solid grey chambray on the reverse offering an alternate styling option.